Incredible home on nearly 1/2 acre lot in Carrington Lake! Over 4000 SF to include 4 bedrooms, formal dining room, study, game room, and a theater room! Beautiful upgraded lighting accentuates this sprawling two story, split bedroom home. The spacious kitchen features a center island, gas range, bar seating, casual dining space, and an amazing pantry complete with a built in desk! Formal dining and butler's pantry make entertaining a breeze. Upstairs is a large game room with a half bath and wet bar with beverage fridge and opens to the theater room. The huge backyard features a gorgeous pool, custom landscaping & pergola with electricity, outdoor kitchen with grill, and plenty of extra room for play structures, etc. The pool has a removable fence surrounding it for added security. 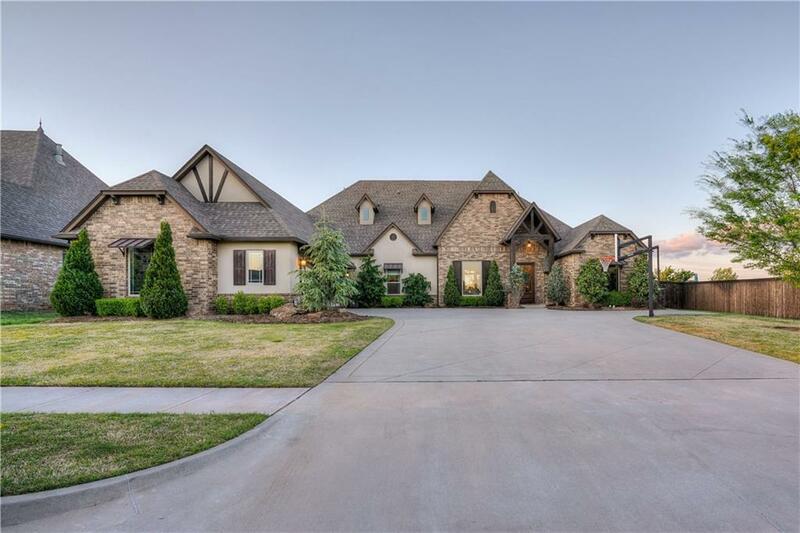 Side entry 3 car garage with storm shelter completes this incredible home.